The WWE has a tendency to mess up their best elements of the product. Yes, this is starting off a bit negative towards WWE, but as a fan, this is just our reality. The WWE doesn't necessarily book their shows as the audience feels they should, and in audience based business, that could prove to be beyond detrimental. In a way, WWE has been suffering from booking issues for the better part of the decade, with only a few great moves to speak of. As a fan, there hasn't been many moments to speak of that I truly was interested and captivated. Sure, NXT is a great hour of programming weekly (for the most part) and the TakeOver events are usually always great, but that's because it is in the vein of the indies with the way it is structured. New faces, some familiar faces from the indies, and other elements that make this an intriguing program have elevated NXT to the forefront of the WWE and is seen as more rewarding and entertaining than both RAW and Smackdown. 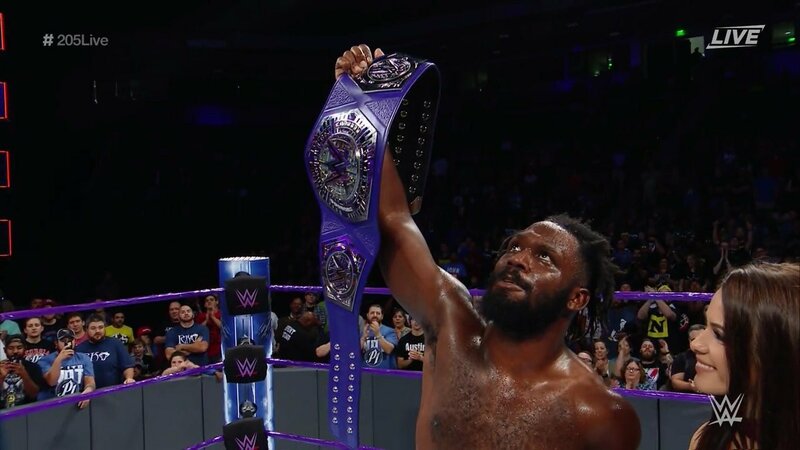 Smackdown and RAW have their ups and downs as well, but for many of us, the thing that's truly gave us hope in recent memory was the Cruiserweight Classic tournament that took place on the WWE Network. We knew the Cruiserweight Division was coming back, and we all held our breaths a bit once we heard it would be exclusive to RAW. 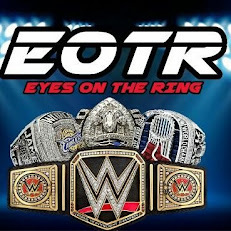 For one, we figured that RAW would find a way to make the division become secondary and slightly complacent, and that the WWE might work their hardest to keep it on the back burner. Essentially, the division is a bit lackluster on RAW and that's largely due to how it's booked, with no real stories, no personality shown, and no true build to anything. The tournament was thrown together and was essentially all about wrestling and the matches were amazing. However, once the tournament was over, we couldn't help but wonder what to expect. As the division got to RAW, the biggest mistake might have been the crowning of TJ Perkins as the Champion. TJP is a great wrestler and a guy I've followed for years as a wrestler, but he was 100% the wrong guy to have win the tournament and be the first champion. That isn't a knock against his talent, but rather a knock against the booking and how the WWE set up his character. Lacking aggression, passion, and throwing in contrived video game references, TJP was just not that perfect fit for the face of this division. While I think WWE wanted Zack Sabre Jr. or Kota Ibushi as the face of the division and first champion, they were left holding the bag when neither man signed a contract and decided to go back to the indies. RAW would sign a number of guys, including favorites like The Brian Kendrick, Cedric Alexander, Jack Gallagher, Noam Dar, Rich Swann (who was already under WWE contract via NXT), and many more. 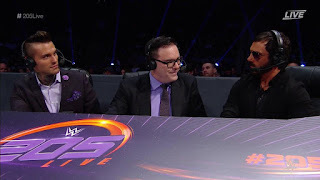 This would have most of us excited to see so many great stars under contract for the company, but after the debut of the division, it was clear that they needed more time and more singular focus. Tag team matches and fatal four way matches were a result of a small window of time to showcase a large number of stars that needed more attention. It just wasn't working via RAW only and we all got excited at the idea of the Cruiserweights coming to Smackdown. Why? It's simple. Smackdown has two hours of programming, but they utilize those two hours effectively. The Cruiserweight Division felt right on Smackdown. It feels perfect there. Even with just one match per week on Smackdown, the belief is that it'll showcase the stars even better with a shorter window of time. That shows how bad of a fit RAW seemed and how the writers of RAW didn't seem to understand what to do with these wrestlers. With the lack of success in the division looming, WWE decided to implement a new show devoted to the Cruiserweights titled 205 Live, which goes live after Smackdown, which would mean the Cruiserweights are technically on Raw and after Smackdown. 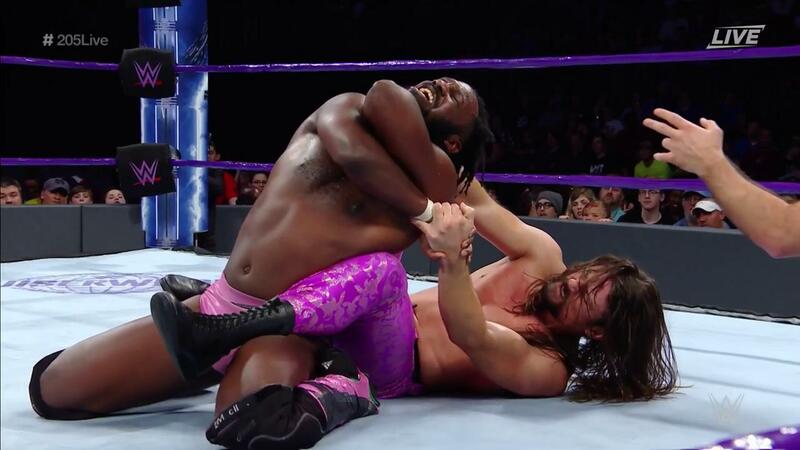 Now, with 205 Live, what does this mean for the Cruiserweights? Well, it could mean bigger and better things. The first episode showcased some talent like the Bollywood Boyz, Drew Gulak and Tony Nese, Jack Gallagher, and a very solid main event between The Brian Kendrick and Rich Swann, which saw Swann go over and get the title. 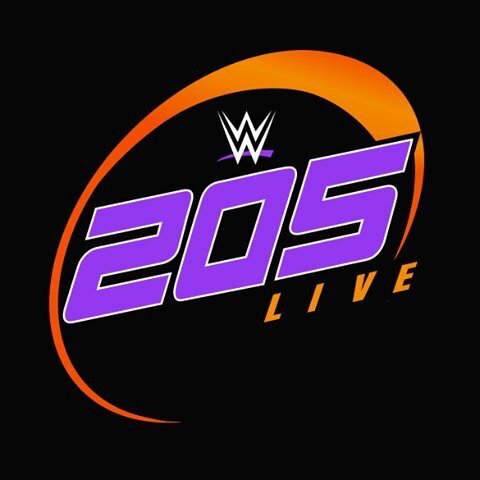 So what could the potential of 205 Live see for us going forward? This is where I think we could really have some fun. Every week on 205 Live should see the Champion in action and whichever stars didn't get featured on RAW, they get matches on the program. So, imagine on RAW, you see Rich Swann and Kendrick have a rematch or Kendrick vs TJP, or Swann vs TJP, and then on 205 Live, we could see Cedric Alexander vs Drew Gulak, or Cedric vs Gran, Cedric vs Ho Ho Lun, or Cedric vs Noam Dar. Noam Dar vs Drew Gulak, Jack Gallagher vs Tony Nese, and many more matches that would provide us with entertaining action. Every other week, we could get a no. 1 contender match to have a future main event on the show set up with fresh faces in the title picture to put everyone on equal footing. 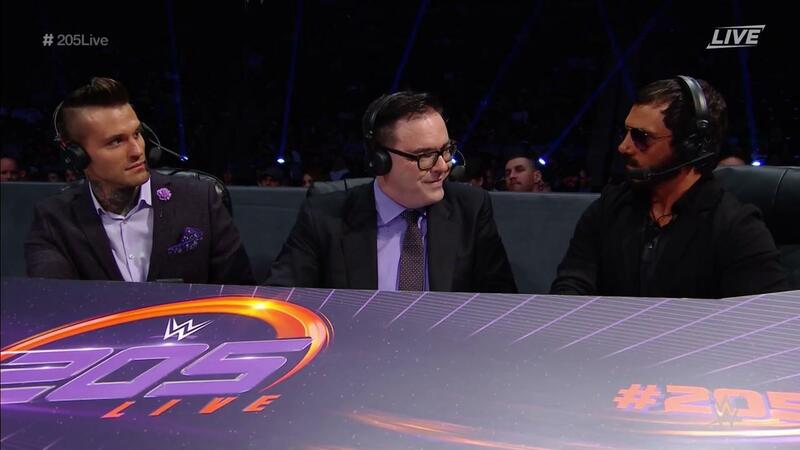 I think 205 Live could be just what we need weekly for the division and restores the feeling we had with the CWC, just with a bigger audience. 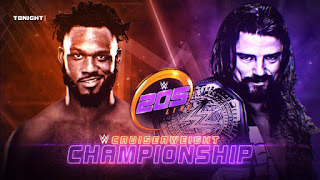 The hope is that the audiences show them love and respect instead of ignoring the hard work, and if that happens, this Cruiserweight Division will be just fine and the WWE will have 205 Live to thank for that in the long run. The Cruiserweight Division was struggling, but I believe 205 Live is about to give it new life.